We all have those brands we go back to, time and time again. The makeup brands we trust to consistently deliver new makeup bag staples – Nars is that for me. Their launches rarely disappoint (apart from the hideous audacious mascara), so with a 15% off code for Fabled (fantastic service, by the way) ordered two of their newest additions. I saw Nars radiance primer had been Sali Hughes approved, and also mentioned by Lily a few times, and I was intrigued. I’ve never been disappointed by a Nars base product, and illuminating primers are sort of my jam. Even the packaging is exciting to me, with its minimalistic pink tube – Nars know what they’re about when it comes to presentation. The product itself is fairly fluid in texture so it blends nicely over the skin and then it dries down a little bit so it’s not greasy. It’s really pink in tone which does do a lovely job at brightening the skin although it’s not as luminescent as something like the LM radiance primer. It’s more modern in texture and is a good one for adding some extra hydration to drier skin types. Also new in is the soft matte concealer, which promises to be the concealer to end all concealers; full-coverage but lightweight and will not crease. I did like the creamy concealer, but this one seems to work well over the whole face. It seems a little dry to me for use under the eyes, but I shall report back once I have tested it a little more thoroughly. 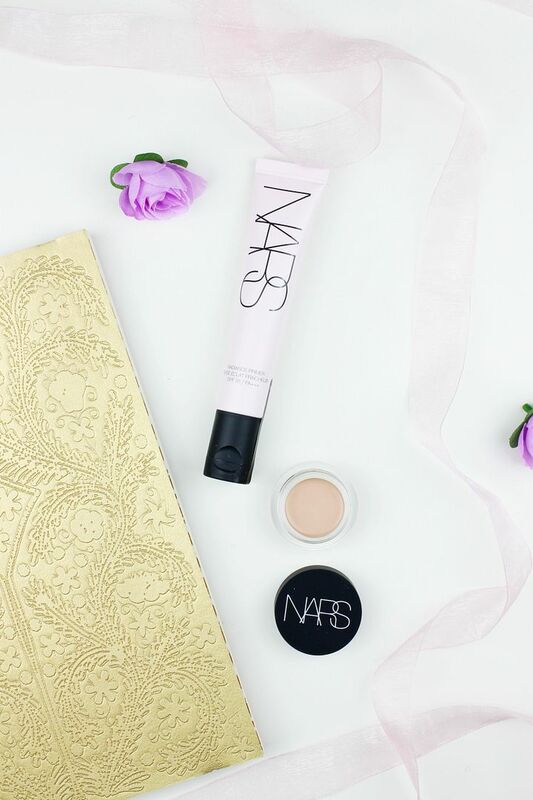 Do you have any Nars favourites?